Microsoft has already integrated the Xbox One and Windows 10 in one way, by allowing Xbox One games to be streamed to all Windows 10 devices, creating Microsoft’s own version of Remote Play; now, it seems, they are ready to attempt it in the other direction too, as The Verge reports that the company is now going to try to work on streaming PC games to Xbox One. Don’t get too excited for it, because it might take a while- apparently, it’s harder than expected, though that’s something Spencer seems to like. “It’s actually a little more challenging doing the encoding on the PC side to the Xbox, but challenge is good,” he said. Such a move will work wonders for Microsoft, as it will let them undercut Valve and their Steam Machine/Steam Link initiatives entirely, by using sold Xbox One units as Trojan horses for PC game streaming. 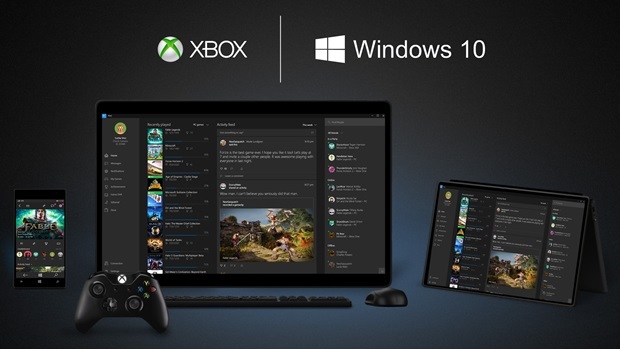 It will also let them sell Xbox One and Windows 10 as one ecosystem better.